Rachel is currently investigating the “Romance of Sustainability; enchantment, illusion, entrapment and re-enchantment”. This is examined in the context of management, consumption and leadership theory and practice. She is also co-leading a longitudinal research project “Echoes from the future, status and sustainability in new lifestyle trends” and is supervising a cohort of postgraduate and doctoral students whose interests cohere around business in society and business futures. 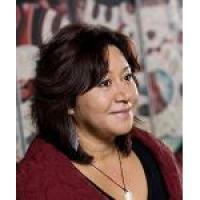 Her research activity also includes Māori organisation and enterprise (with a recent focus on the dynamics of Māori careers and leadership in the creative industry), leadership for sustainability (with a specific focus on global initiatives involving universities) and spirituality at work. Research interests: Sustainability, socio-economic trends, Māori organisation and enterprise.